Join us for our annual Day on the Prairie. This free, family friendly event will have music, activities, crafts, demonstrations, food, and more. FUN For the Whole Family! This year we are featuring The Liberty Band, The Family Folk Machine, Heaven's Callin', piano, cello, fiddle, and irish drum soloists and more. Kids will be able to make musical instruments, bee/butterfly seed balls, "bob" for apples, play games their ancestors played as kids. 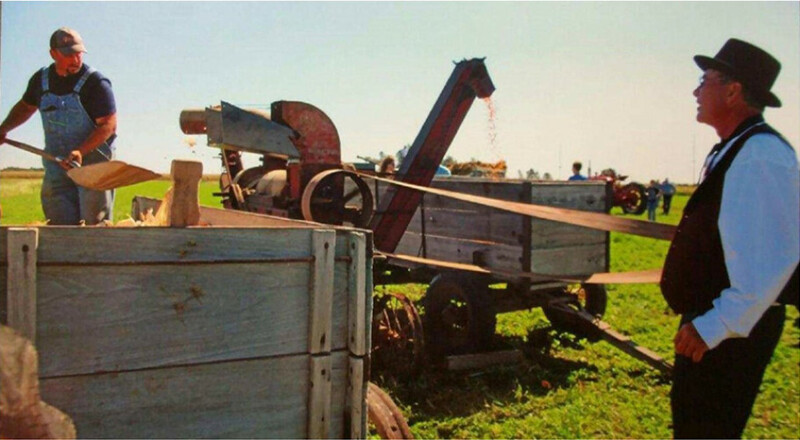 The whole family will enjoy touring the village, watching the blacksmith, sawmill, tinsmith, and other demonstrations done throughout the day. You can also listen to stories, learn to do a Pow Wow dance, check out the vendor booths, and more. This annual event is enjoyed by hundreds every year who want to see a glimpse of life in the past while having fun today.